Your brand identity is the face of your company. Rebranding is inevitable as technology continues to evolve. With the user experience at the heart of web engagement and conversions, business owners need to prioritize creative design. While search optimization is a vital part of drawing eyes to your website, the aesthetic aspect is what captures their interest to learn more about your brand. You need to know what it takes to create an emotional impact on your target audience. It is no longer enough to assume what is enjoyable for users. Competitive analysis will refine your vision of what it takes to position yourself as an authoritative source. Your brand identity creates the traction needed to move your brand forward. So why is rebranding important for your brand identity? You are seeing high bounce rates or users don’t seem to be engaging with your brand. Maybe you’ve hit a creative design plateau and aren’t seeing the growth you’d imagined. Your competition is growing. New offerings attract new prospects away from your business. Rebranding feels like the only hope left, but you have no clue where to start. Competitors are increasing their market share. They take advantage of rapid changes in technology and brand awareness, while you are left to piece together your reputation. You want your Web site to be a memorable experience. Chances are people won’t remember your brand, if you don’t deliver appealing fonts, colors and imagery. Creative design from a visually pleasing standpoint is a good place to start. But your rebranding efforts truly need to be centered around how the experience will drive engagement. It’s about by recognized by nuances in shade or tone or the exciting sensations that your business exudes. It’s the visual identity that seeps into the subconscious layer of what your business represents. Seek out feedback from your customers on your logo and graphics to capture the feelings from your current design. To inspire conversions, your brand identity should be immediately recognizable. This means that you’ve researched your target audience and competitors and defined your ticket to success. In the face of seasonal trends, you may use marketing designs until they are worn out and become cliched. If you are reusing the same content, your brand will quickly fade from the forefront of their mind. Rebranding will refresh the imagery of your business to present solutions to pressing needs, rather than just another crayon in the box. Your marketing copy may be effective in terms of SEO, but the design may not be up to par. Every brand wants to be recognized, but beyond that you need imagery that connects with visitors on a deeper level. Most marketing materials have a limited shelf life, but we are passionate about breathing life into your brand through redesign efforts. Ready for rebranding? Reach out and let’s see what we can start redesigning for your business. 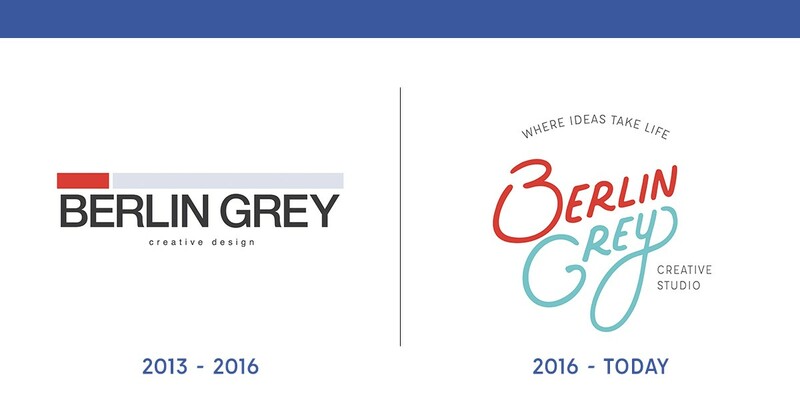 At Berlin Grey, we take ownership to fully understand your business and deliver beautifully effective designs.